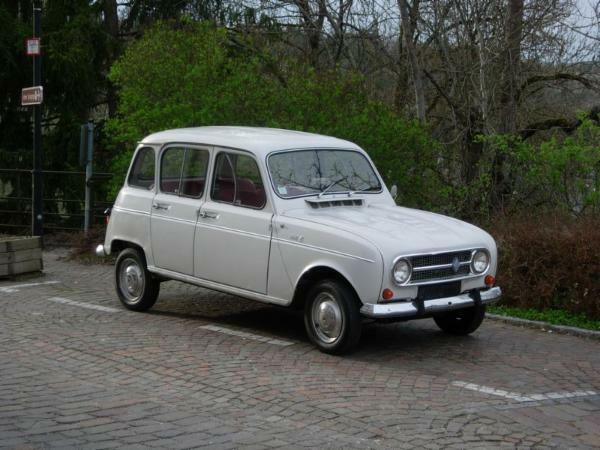 Our 1968 Renault 4: only 2 owners from new, this nice little car has never been restored. It is almost free of corrosion, it still carries its first paint on the entire body. No change of a wing, no partial repaint, not even a minor paint repair, nothing at all! It comes with a very nice patina with lots of bumps and scratches. We really love to drive it on a sunny summerday, it really helps you to relax. our little Renault 4 with a couple of far less attractive younger generation family members :-). What you see is about 1440 HP in total, no sorry, 1466 HP in total, I forgot the 26 HP coming from the little white one in front.